There’s a small but thriving Karate club in Bishopthorpe that has been surprising some of the more established clubs with the success its members have been getting at National Championship events. The senior instructor at the club, Sensei Brian Williams, invited Bishopthorpe.net to have a look at the club and see what goes on there. The club meets at 6:30pm on Mondays and Thursdays in St Andrew’s Church Hall, so your intrepid correspondent went down to the Church Hall a couple of weeks ago to meet Brian and the team. You’re referred to as Sensei – what does that mean? Sensei is a Japanese title often used to address doctors, musicians, professional people and so on. It’s a term of respect and in the martial arts world it’s used to address the teacher of a class of students; it’s a bit more than that though, and also means guide. Literally it translates as ‘one who has gone before’. 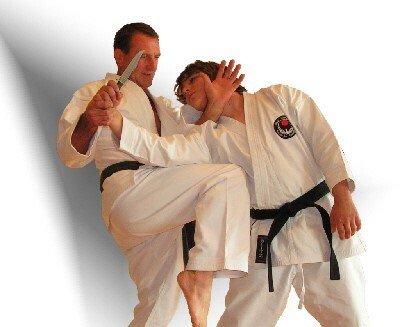 Everyone probably has their own pre-conceptions about Karate from films and TV. What’s it really all about? Kara means empty, and te means hand, so karate means empty hands, or the art of empty hand fighting. Karate originated around 400 years ago as a secret fighting art among the oppressed people of Okinawa, Japan. In its original form it had a simple aim; to kill your opponent before he has the chance to kill you. Its success meant that the techniques were closely guarded until the relatively more civilised 20th century, where it became increasingly popular as a method of physical and mental development, and a formidable system of self defence. Karate consists of techniques of punching, blocking, striking, and kicking, combined into specific patterns called kata (forms), and applied against opponents in kumite (controlled sparring). 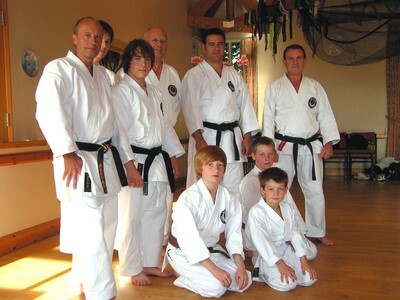 There are a number of different styles of karate practised around the world. 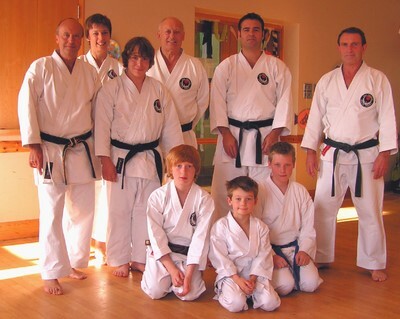 The style we use in the Bishopthorpe club is Wado-ryu, really a fusion of karate and jujutsu. Wado-ryu means harmony, way, and style. But don’t think that by harmony we mean pacifism; it’s a way of explaining that sometimes yielding is more effective than a brute force approach. One of the key principles of Wado-ryu is the Japanese term tai sabaki, which means body-management. This means using body manipulation to move the defender as well as the attacker into the best position. The way to achieve this is to ‘move along’ rather than to ‘move against’–or harmony rather than physical strength. We’re still pretty small but that means we’re friendly, and able to spend time with everyone in one-to-one sessions if they want to. There are about 15 active members at the moment, ranging from 8 years old to the over 60s. We encourage anyone to get involved; young or old, male or female. You don’t need to be that fit to start with, and you don’t need any special equipment. Just a t-shirt and jogging bottoms are fine to see if you like it. Once you’ve got the bug though you’ll find that you want to push yourself harder, train more, and maybe get the proper gear. It’s not expensive though. We’ve all heard of black belts, but how does the belt system work? 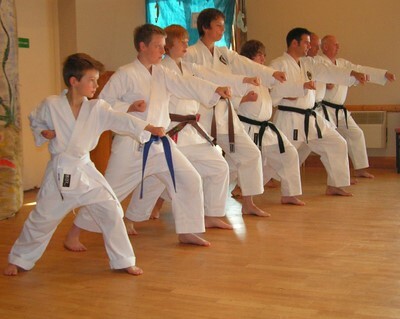 Beginners start with a white belt, and work towards achieving a higher grade and progressing through the colours – white, yellow, orange, green, blue, purple, brown, and then black. We run grading sessions about every 4 months or so. If you achieve the black belt level there’s then the dan ranking; 1st to 5th dan denote technical expertise, with 6th to 10th dan being honorary ranks. And what belts do club members have? We’ve got the whole range of levels. We have 4 black belts at the moment and plenty at the other levels, so anyone starting from scratch won’t feel that they’re on their own. We’ve done very well in competitions over the last couple of years, particularly at the National Karate Championships at Cheshunt. We had Gold, Silver, and Bronze medals in various disciplines, notably the Fighter and Kata events. Kata are pre-defined sequences of movement that need a lot of concentration, while the fighter events are competitions against similarly matched opponents. We got a team kata bronze too. What should I do if I’d like to find out more, or even have a go? We’re always pleased to see new faces at our club sessions, so you can just turn up on Mondays or Thursdays at the Church Hall at around 6:30pm, and we’ll take it from there. Alternatively you can contact me, Brian Williams, on 01904 701931 if you’d like to have a chat first. Our club secretary Lesley Edwards would also be happy to talk to anyone who’s thinking about getting involved. You can contact her on 01904 700380. Thanks for talking to Bishopthorpe.net Brian, let’s hope the club goes from strength to strength.